Haus Guesthouse is located in center of Seoul, so you can go any travelers spots in Seoul easily. 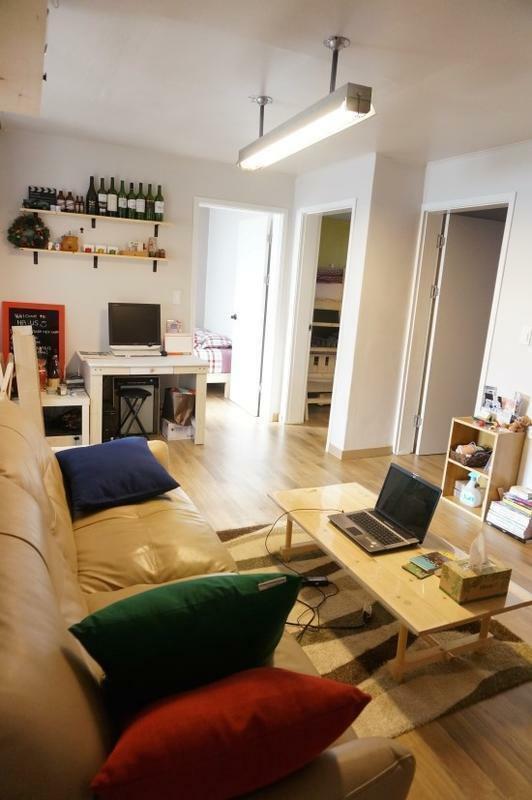 Also it is only 3 minutes away from Itaewon downtown, which is very famous for various restaurants and hot nightlife, 1 minute away from the Mosque and 10 minutes away from N-Seoul tower. Most tourists spots such as Myungdong, Namdaemun, Kyungbok palace and Gangnam are in maximum a 20-min busride or subway ride. For travelers comfortable staying, Haus has custom made wooden beds and cozy bed sheets, and each bed has private electric outlets, cellphone shelve, drawer, and booklight. Free breakfast and wifi? Sure thing. We want you to feel at home and will do our utmost to ensure your stay with us is as pleasant and comfortable as possible. In doing this we have created a common room complete with projector and board games, so we have movie nights, game nights whenever guests want. Also at outdoor terrace and rooftop lounge that have an awesome view, we have BBQ party once a week, or more. We also provide you with a fully equipped kitchen and computer station. Our friendly, local staff will be more than happy to provide you with plenty of information about the city and how to get around, ensuring youre able to make the most of your stay in Seoul. The hostel is owned and run by a Korean young lady who renovated whol guesthouse by herself, and loves travel and travellers. From the Incheon or Kimpo international airport, take Airportrailroad line to Gongdeok, and transfer to line 6 towards to Itaewon. Itaewon station exit 3 is the closest way to get by subway. We'll pick you up there in front of exit 3 if you inform us that you need. If you find the Mosque in Itaewon, it takes only 40 seconds to get here!